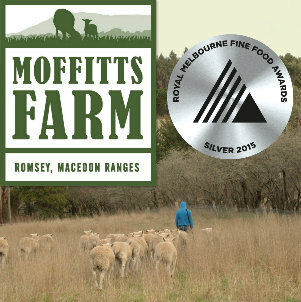 Moffitts Farm is located near Romsey, 60 kilometres north of Melbourne, Victoria, Australia. The Francis family purchased it in the 1950s from the Moffitts family (one brother and two sisters) who were original settlers farming with horses and moulboard ploughs. Patrick and Anne Francis purchased the farm from Patrick’s parents in 1986. The property comprises 50 hectares and most of that era’s features have been retained or restored with draught horse loose boxes, blacksmith’s shop and machinery sheds. The cottage has been restored with its original Baltic pine lining boards and bluestone ‘stumps’. 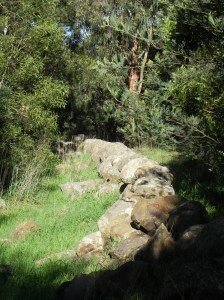 Nineteenth century remnants remain across the property in the form of bluestone fences, hawthorne tree hedge ‘fences’, post and rail fences, original pine and Cypress trees, creek water storage, and remnant fruit trees. Little native vegetation remained by 1952, just two manna gums, two blue gums (E. globulus) and around six blackwoods (A. melanoxylon), all the rest presumably being cleared to provide fencing materials and fuel for the giant walk-in size fire place in the cottage. Post the 1986 purchase of Moffitts Farm, development was at first slow with Anne and Pat living in Melbourne for their children’s education and employment as editor of the national monthly magazine FARM, later Australian Farm Journal. The cottage and all outbuildings had been converted to hay sheds by Pat’s father who used the property as an extension to his nearby farm. By 1990 the cottage had been restored to a point where it could be lived in for a day or two. Lighting was still oil lamps, candles, torches while a generator became the power source for electric tools. In 1993 Pat started running small trials on the farm based on his agricultural science knowledge and experience of innovative farmers and consultants he visited and interviewed as editor of Australian Farm Journal and Australian Landcare Magazine. 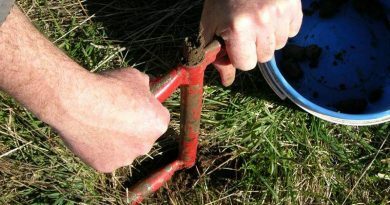 Pasture variety trials were commenced using conventional cultivation and direct drilling techniques. The farm became a Triple P (high phosphorus fertiliser input, high pasture utilisation) demonstration site which continued to 1999. 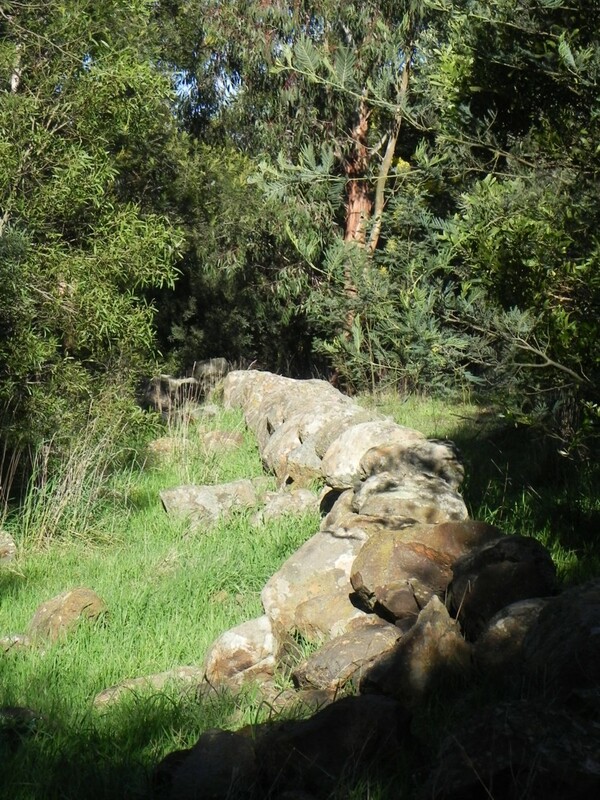 Over the same period the family gradually implemented the property plan involving paddock sub-divisions, fencing the riparian area and establishing conservation corridors around each paddock. 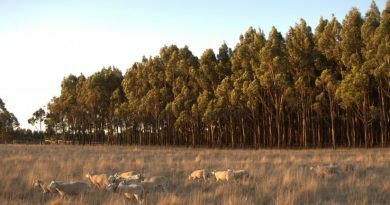 In 1996 the first of four farm forestry plots were established, firstly with Tasmanian blue gums, then Sydney blue gums and lastly during the depth of the 13 year dry period (1997 to 2010) Sugar gums. In all, 20% of the farm grazing area has been set aside for conservation and farm forestry. 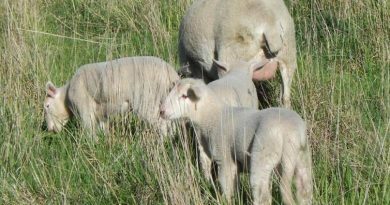 In 2000 Pat decided to trial an alternative livestock and pasture management program called holistic grazing management. It was a system being successfully adopted on farms in Queensland and NSW. His analysis of the outstanding triple bottom line outcomes associated with holistic management, even during years of below average rainfall suggested it could be adapted to southern Australian grazing businesses operating with introduced pasture species, smaller paddocks and higher grazing pressure. As southern Australia’s dry 13 years continued (1997 to 2009), farmers began to take notice of the holistic grazing management on Moffitts Farm and groups came to visit to discuss the program. Pat has kept detailed records of all livestock movements, farm inputs, soil data and biodiversity changes since 1996 and is able to compare the two different farming systems. He is able to show that productivity has not changed between Triple P and Holistic Grazing, but farm costs, environmental risk and stress involved have declined to significantly. The family coined the phrase ‘Comfortable Farming’ to encapsulate the concept that holistic farming, that is, farming in conjunction with nature, is comfortable for the livestock, comfortable for the environment and comfortable for the owners, irrespective of annual rainfall. It has also allowed the family to embrace other aspects of farm life such as fruit and vegetable production, silviculture (saw log production) and nature conservation. Available soil phosphorus has been maintained in the range 17 – 20ppm without addition of phosphorus fertiliser for 10 years from 2000 to 2010. Nutrients have been subsequently applied intermittently based on a five year nutrient budget calculation. There has been no change to paddocks carrying capacity in the transition from Triple P to holistic grazing. Previously routine cattle health treatments such as drenching were not undertaken from 2000 to 2012 when the enterprise changed to sheep only. Variable costs of livestock production have mostly been eliminated (for example fodder conservation, fertiliser). Pasture plants have become far more vigorous and resilient to rainfall variability. Wildlife biodiversity has increased significantly.